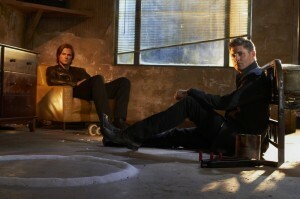 The Winchesters will be back for an eighth season this Fall. Although many figured that the appointment of Jeremy Carver as new showrunner made Supernatural Season 8 a foregone conclusion, Zap2It now reports that The CW has confirmed that an eighth season of the popular Friday night series is on the way. The series, which stars Jensen Ackles and Jared Padalecki, has been a consistent performer for The CW on Friday nights and continues to have a huge fan base. It will be interesting to see what the appointment of Carver, who worked on several memorable episodes in the show’s past, will do to the series for Season 8. The CW will be announcing their Fall 2012 schedule – which will hopefully also include Arrow – on Thursday, May 17. Come talk about this news on the KSiteTV Forum!